On the silver screen, some cars are just as mesmerizing and unforgettable as the stars that drive them. The Academy may not have an award for automobiles, but that doesn’t mean they aren’t immortalized in Hollywood’s history. The proof is in the price tag – famous used cars are selling for multiple millions. Some are so priceless they aren’t for sale at all. Find out where your favorite onscreen vehicle is today. The oldest vehicle on the list was in a movie starring Katharine Hepburn and Cary Grand called Sylvia Scarlett – however, what made it famous was its participation in the 1932 Muroc Match Race. The 1928 Mercedes-Benz was faster than the 1931 Duesenberg Model J LeBaron Phaeton, but lost the race due to mechanical problems. It sold at auction for $3,740,000. The original Batmobile is the first of three famous renditions of the vehicle. 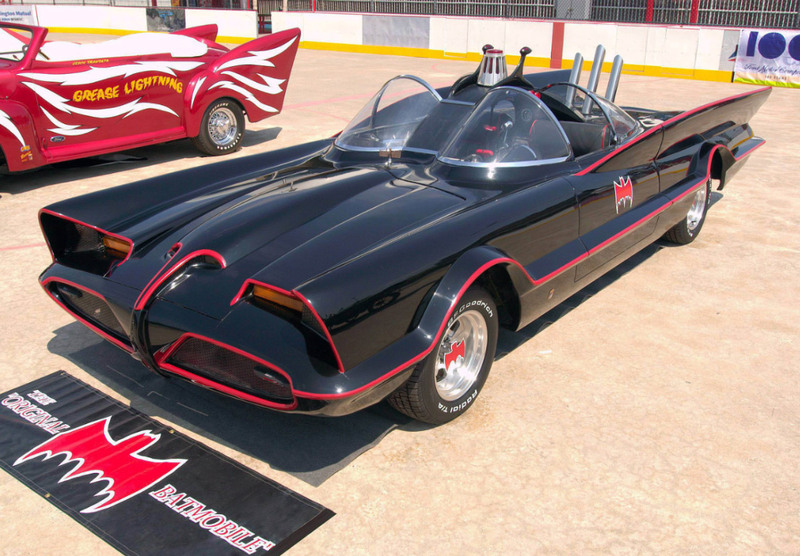 What started out as the 1955 Lincoln Futura concept vehicle ended as the 1966 Batmobile – the star of the show. 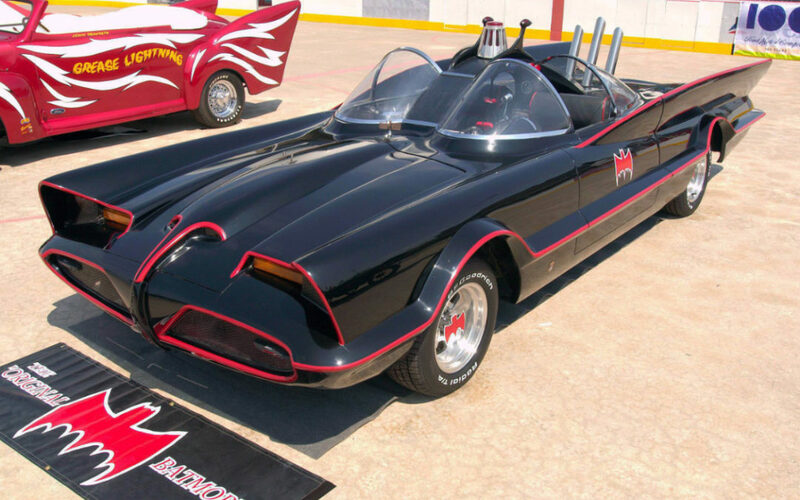 George Barris turned the Lincoln Futura into the Batmobile on a $15,000 budget. The car sold at auction for $4,620,000 in 2013. James Bond’s artillery of amazing gadgets isn’t complete without his car. The Bond films Thunderball and Goldfinger had Bond in a highly modified 1964 Aston Martin DB5, complete with machine guns, tire slashers, a bulletproof screen, a passenger ejector seat, and a radar scanner. The original vehicle sold for 2,912,000 Euros in 2010 – the equivalent of $4,595,998. Featured in the movie Le Mans, the 1968 Ford Gulf GT40 made its claim to fame as the vehicle of choice for Steve McQueen. This car has a number of unique design aspects that make it desirable, even without its film credits. As one of the most expensive cars ever sold at auction, the Le Mans vehicle sold for a whopping $11,000,000 by RM Auctions in Monterey, California. The 1977 and 1980 Herbie films fast-tracked the 1963 Volkswagen Beetle to fame. 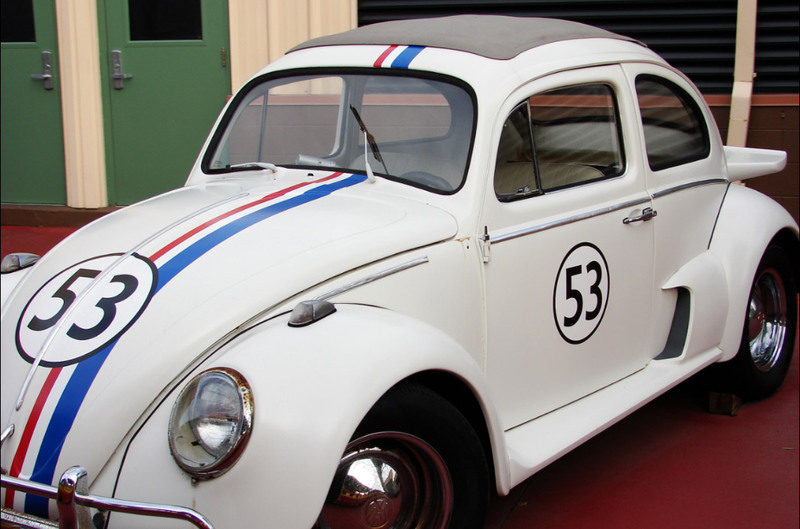 One of many Herbies used in the series, the one that sold at auction is fully authenticated – the one that sprayed oil in “Herbie Goes to Monte Carlo.” The sale price broke the record for a Volkswagen Beetle at $126,500. One of the most recognizable vehicles by sight is the Dukes of Hazzard 1969 Dodge Charger. 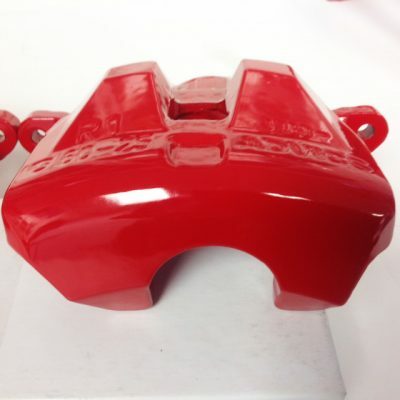 Bright orange in color, with the Confederate flag on the roof and “01” on its side, the Charger is known as the “General Lee.” Through the six seasons of the show, an estimated 309 Chargers were destroyed in the many fiery crash scenes. John Schneider, the actor who played Bo on the series, restored a few of them – one of which sold for $450,000 in Scottsdale, Arizona. In 1971, Vanishing Point hit the big screen. Barry Newman’s performance was impressive, but the real star of the show was the main character – his white 1970 Dodge Challenger. The Dodge Challenger was already a popular car before the movie debuted, but the movie made it iconic. As proof of the Challenger’s capabilities, none of the engines blew during filming. Unfortunately, this is one famous car money can’t buy – rumor has it that Chrysler crushed all four original Challengers used in the film. Another James Bond iconic vehicle is the 1977 Lotus Esprit, designed specifically for the film. This vehicle famously transformed into a submarine in The Spy Who Loved Me, putting it down in the books for one of the more famous Bond vehicles. The Lotus Esprit was shut away in a storage locker for a decade before resurfacing and selling at an auction in London for $966,560. When the first Back to the Future film in the trilogy became an international phenomenon, the world couldn’t stop talking about Doc’s DeLorean. This car-turned-time-machine is immortalized in time, but it was one of the lower-cost cars on this list. Out of seven DeLoreans used in the film, only three survived. The only one in private hands sold for $541,000 in 2011. From the Batmobile to James Bond’s Lotus Esprit, car fans can’t get enough of famous cars. For those of us who don’t have millions to spend on a famous used car, we can at least take heart in the fact that there are Dodge Challengers, Chryslers, Volkswagens, and other models reminiscent of the silver screen for sale at normal used car prices.